fulfillment-order-service.read: Access right needed to read from the fulfillment order service. fulfillment-order-service.write: Access right needed to write to the fulfillment order service. Accessible by any user; no access rights needed. description: error occurred - see status code and problem object for more information. Precondition Required - サーバは条件付きリクエストを要求する。(e.g. to make sure that the “lost update problem” is avoided). gzip圧縮がサーバペイロードのデフォルトの選択肢ではありますが、サーバは 圧縮しないペイロードもサポートするべきです。クライアントはAccept-Encodingリクエストヘッダを 通じてそれをコントロールできます。see also RFC 7231 Section 5.3.4. <fields_expression> ::= "(" <field_set> ")"
<DASH> ::= "-" | "_"
<LETTER> ::= "A" | "B" | "C" | "D" | "E" | "F" | "G" | "H" | "I" | "J" | "K" | "L" | "M" | "N" | "O" | "P" | "Q" | "R" | "S" | "T" | "U" | "V" | "W" | "X" | "Y" | "Z" | "a" | "b" | "c" | "d" | "e" | "f" | "g" | "h" | "i" | "j" | "k" | "l" | "m" | "n" | "o" | "p" | "q" | "r" | "s" | "t" | "u" | "v" | "w" | "x" | "y" | "z"
description: A base type of objects representing links to resources. addressee; not to be confused with the gender information! further details like building name, suite, apartment number, etc. for successful completion of the request. quoted string, possibly prefixed by a weakness indicator. resource does not exist at all. added by intermediaries such as publish/subscribe broker. これは仲介者によって。This may be enriched upon reception by intermediaries. 2018-01-10: Moved meta information related aspects into new chapter メタ情報. 2018-01-09: Changed publication requirements for API specifications (Must: OpenAPI仕様を公開する). 2017-12-07: Added best practices section including discussion about optimistic locking approaches. 2017-11-28: Changed OAuth flow example from password to client credentials in セキュリティ. 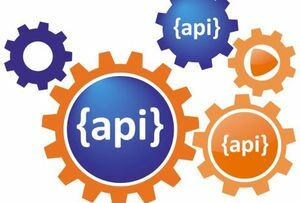 2017-07-20: Be more precise on client vs. server obligations for compatible API extensions. 2017-06-06: Made money object guideline clearer. 2017-05-17: Added guideline on query parameter collection format. 2017-05-10: Added the convention of using RFC2119 to describe guideline levels, and replaced book.could with book.may. 2017-02-28: Extended information about how to reference sub-resources and the usage of composite identifiers in the Must: パスセグメントによってリソースとサブリソースを識別できるようにする part. 2017-01-05: Clarification on the usage of the term "REST/RESTful"
2016-12-06: New guideline: "Should Only Use UUIDs If Necessary"
2016-12-04: Changed OAuth flow example from implicit to password in セキュリティ. 2016-10-10: Introduced the changelog. From now on all rule changes on API guidelines will be recorded here.